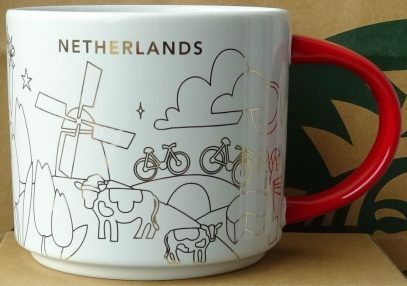 Starbucks You Are Here Ornament – Netherlands comes with the dark blue string and the same colorful design as his bigger brother. Starbucks You Are Here Christmas Netherlands has definitely lost some colorfulness compared to the regular YAH. See these two compared side by side below. Which one do you like more? Starbucks keeps delivering! Second 2018 YAH is here and it is You Are Here Utrecht, straight from Netherlands. 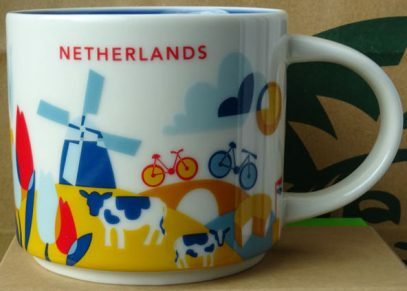 This colorful mug is the sixth from this country. – Beaches along the banks of river Rheine. Christmas is over, hence no excuse to not release new YAHs! 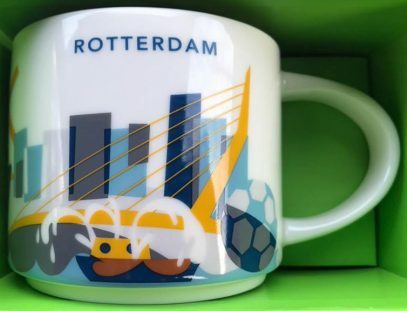 Welcome brand new You Are Here Rotterdam, the fifth Dutch mug from this series. 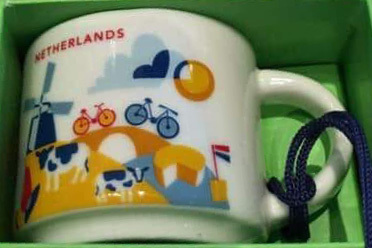 I do remember the days when Amsterdam was the only International mug from YAH series! It appeared in 2013 for a short time and was considered HTF till it has been re-released again in 2016. Since then we had two other Dutch cities and this month, finally, You Are Here Netherlands. This is the third YAH from Netherlands. 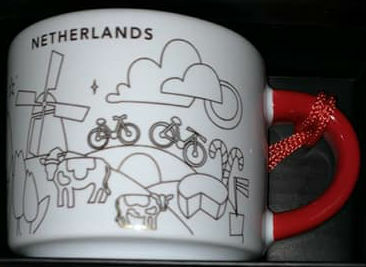 Again Starbucks has used native (in this case Dutch) version of the name – You Are Here – Den Haag. 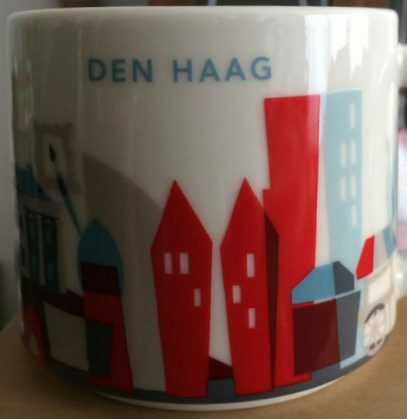 You probably know it better as The Hague. 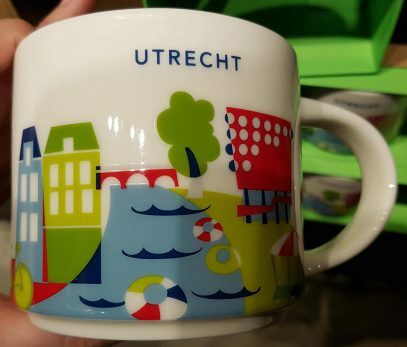 By coincidence this is the third-largest city in the Netherlands. Over 150 international organisations are hosted here. Probably the most noticeable are International Court of Justice (ICJ), the International Criminal Court (ICC). 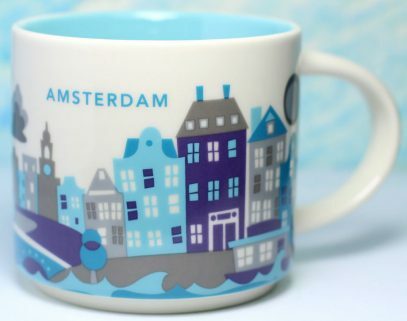 Do you remember good old days when Amsterdam was the only YAH outside of US? Since then so many mugs were released that International YAHs outnumbered US YAHs. 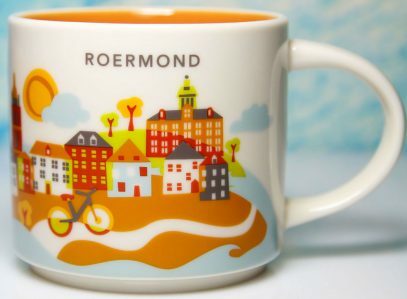 Well, the second Dutch You Are Here mug is finally here – Roermond. The color scheme is very much different from Amsterdam YAH, and is mostly orange. I expected to see both churches depicted – St. Christopher’s Cathedral and Roermond Minster or ‘Munsterkerk’, but could only recognize the first.